In 2014, the first tests on Glow-Tec® were completed. Small scale and weak luminous EL-films were produced on a laboratory scale. Since then, nearly two years have passed and the Glow-Tec® systems have reached the marketability. Behind this achievement stands an exceptional work based on expertise and enthusiasm. 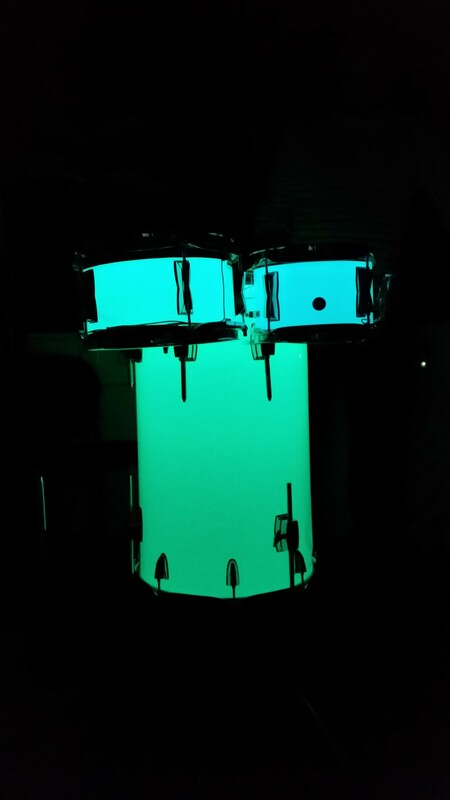 The Glow-Tec® technology is an electroluminescent system, in which special fluorescent pigments are excited by the electric current, so that they emit light. EL-films produced by InovisCoat GmbH stand out from the competition. 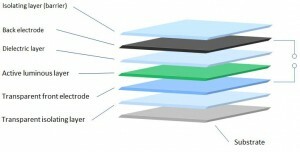 All EL-devices have a functional layer built-up. The conventional light EL-stripes are produced by screen printing. Each layer is printed separately. After each layer, a drying or annealing step is necessary. Organic solvents are widely used during this process. The size of these EL-stripes is restricted to the size of the screen printer and rarely exceeds 1 m². For the manufacturing of Glow-Tec® InovisCoat applies an unconventional and very effective production method originally used it the photographic industry. All functional layers are applied from a water phase onto flexible substrates (e.g. 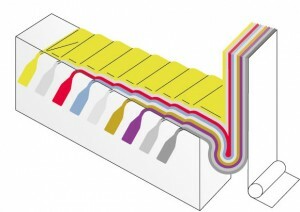 plastic films, paper or textiles) using a cascade coater. This is a roll-to-roll production. The water is dried out afterwards. The roll-to-roll production enables continuously lengths and widths up to 1 m lighting area. Glow-Tec® el foils can be cut to almost any shape with a simple scissors. The tailoring should be done when the system is switched-off. Once it is cut into shape it can be put into operation again. The Glow-Tec® systems can be plotted negatively or positively: company logos or graphics are possible. Even screws can be set into the Glow-Tec® film. The cutting edges must be isolated properly. 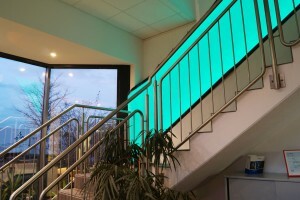 Polyester is a standard substrate for the Glow-Tec® EL-stripes. The substrate is light by weight and flexible so then it can be applied onto other surfaces and objects, e.g. walls or furniture. Even curved shapes are not a Problem. 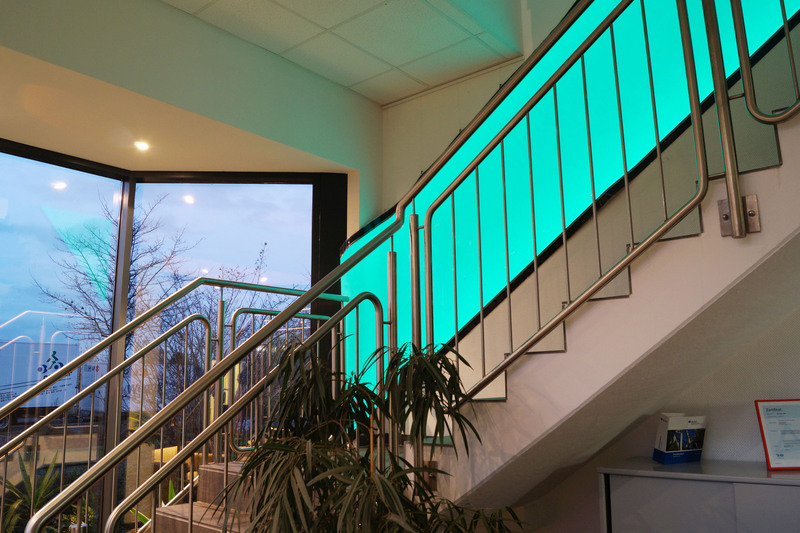 Glow-Tec® EL-foils are only 0,175 mm thin and therefore require extremely small space for installation. The slim design enables the backlighting of various elements, e.g. wallpapers or bar counters. The weight of the system is about 200 g/m². Wherever weight is important for example ships, airplanes or cars Glow-Tec® can serve as ambient light. Electroluminescent systems emit large area light (the whole area is illuminated) compared to other light sources like LED, which are light spots. Glow-Tec® needs no light diffusor. 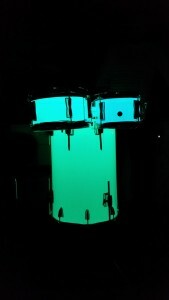 Glow-Tec® can be custom-made. Different substrates and substrate thicknesses between 55 µm and 350 µm are possible. 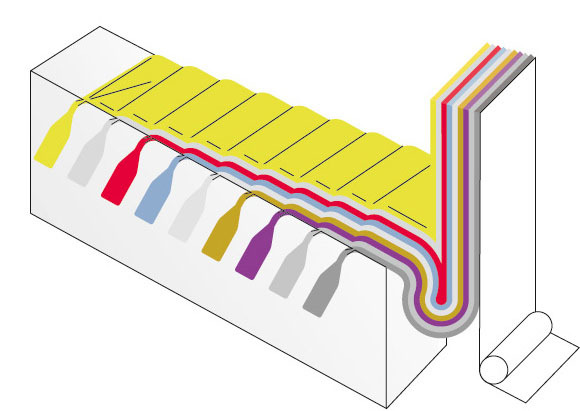 Typical substrates are PET, PA, PE, PC, PVC, PMMA / PVDF, textile, paper or even metal films. Through the optimizing of the electrical conductivity and pigment mixtures the technical parameters of Glow-Tec® could be dramatically improved. The systems start to aluminate already at an operating voltage of only 30 V. The maximum operating voltage is 160 V. At this point Glow-Tec® EL-foils have a light density of up to 50 cd/m². Various colors are possible. Clear white and bright red are already in the advanced stage of development and will be available soon.